This album worthy trip invites students to immerse themselves in the history, culture, and hidden landscapes of China. Offering an ideal blend of shooting opportunities, participants are invited to capture the best of traditional Chinese architecture in China’s ancient capital, Xian, as well its modern-day metropolis, Beijing. We finish the trip at the southern rivers and karst mountains of Yangshuo. This trip includes professional classes daily with our resident photography teacher. Lessons combine theoretical discussions and practical applications. Topics cover aperture/speed, ISO, macrophotography, panning, temperature, lead-in lines, shot angles and much more. In a truly unique learning adventure, students will not only learn how to capture China through the lens but also learn about the historical evolution of this massive nation. Arrive and transfer into the city. Students will be led on a guided tour through Beijing’s Hutongs – the old but well-preserved alleyways that have served as local neighborhoods since the 1200s. After checking into our accommodation, students will be given a trip briefing about what to expect during their time in China. We finish the day by trying different Chinese delicacies at the Wangfujing Night Market. The day kicks off with our first photography lesson (let us know what your students’ photography levels are before you come). Students will be set photography assignments that correspond with the day’s itinerary. 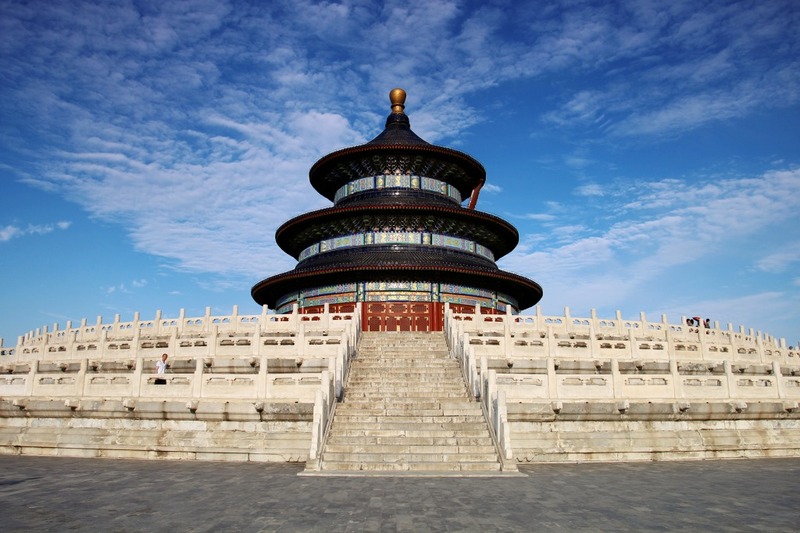 Our introduction to Beijing starts with none other than the Temple of Heaven. Originally where the Emperor participated in religious rites, the complex is a stupendous feat of classic imperial Chinese architecture and was thus named a UNESCO World Heritage Site. After a tour, students engage in a traditional tea ceremony at a park within. For lunch, we tuck into a traditional Beijing banquet: Peking Roast Duck. Then, it’s on to Tiananmen Square, the Forbidden City, and Jingshan Park for a panoramic view of no less than three Unesco World Heritage sites. 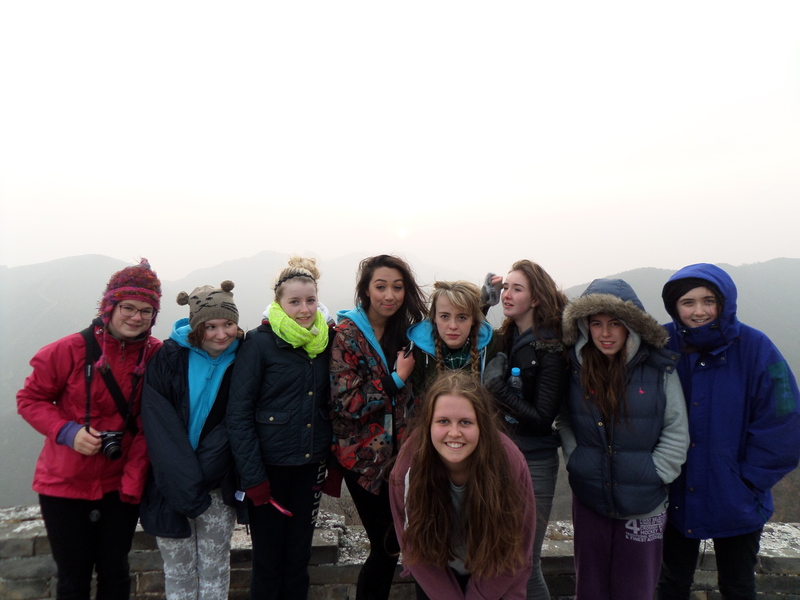 We finish the day by transferring to an unrestored portion of the Great Wall to catch the sunrise the following day. We start early today as we hike up to the Wall for an unforgettable sunrise. Students are taught about sunrise/sunset photography and experiment with aperture, silhouettes, exposure length etc… We return to our accommodation for a short rest before going back into the city. We continue our tour of Beijing in the afternoon by visiting the Summer Palace and its temple complexes. Students walk through the grounds and then take a wooden boat across the palatial lake (boat only available April – October). Finally, we catch the night train to our next stop – the Ancient World’s trade capital and mother of the Silk Road; Xian. Start the day with a photography lesson in preparation for the day’s photographic opportunities. Upon arrival we transfer directly to the Terracotta Warriors (ask our specialists about the worksheets we have available for this visit). Afterwards, it’s back into the heart of the city for a Xi’an must-do; the bike ride around the top of Xi’an’s ancient City Walls. They are China’s best-preserved city fortifications and an excellent way to compare and contrast the old historic city with the soaring skyscrapers of modern Xi’an. Students then sample the unique flavours of Hui Muslim food before finishing the day with an evening stroll to see the Drum and Bell tower lit up at night. We board a morning flight to Guilin, a popular city for nature lovers and climbers in the Guangxi province. We head out to the very verdant Longji rice terraces; an iconic sight. After a landscape photography lesson, students will practice capturing the sunset and the night sky. The local inhabitants of this region are the Miao indigenous people. They are well-known for their hospitality, love of singing, and richly embroidered traditional wear. We take a morning hike through remote rice terrace-covered areas and stop at small hamlets to converse and photograph (with permission!) the locals. Later in the day, we transfer to Yangshuo and finish the day by going to a stunning performance in an open-air natural theater, Impressions San Jie Liu. The day starts with a photography lesson in preparation for the day’s itinerary. We will be focusing on capturing water-based photos as well as the mountainous landscape. We take a short break from photography by going on a short cycling route. Afterwards, students will be taking their cameras onto the water on their bamboo rafts to capture river life and the surrounding scenery. In the afternoon, we head to Moon Hill, an iconic symbol of the Karsts in the area. After a short but challenging hike, we head to the underground mud caves for some fun and relaxation! Following a shower, we board our flight to Guangzhou. Specialized Photography instruction that is based on geographical location, and an in-depth understanding of China’s history both modern and ancient. Portrait, landscape, documentary, night, and architectural photography lessons with assistance in creating a finished digital portfolio.